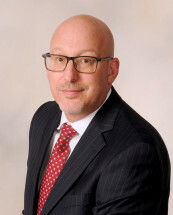 Upon his graduation from law school, Craig began his legal career as a law clerk for the Honorable M. Allen Vogelson, in the Superior Court of New Jersey, Camden County. He served in this capacity from 1993 to 1994 during which time, Craig was able to observe, court proceedings ranging from motion practice to trial. This position also provided valuable insight into the operations of the court on a day-to-day basis as well as the judicial decision making process. After completion of his judicial clerkship, Craig entered private practice. Since that time, he has concentrated almost exclusively on handing personal injury matters and workers' compensation claims. Craig has worked in that capacity in order to obtain full and fair compensation for those who have been injured due to the fault of others, and to vindicate the rights of workers who have been injured in the course of their employment. During this time in private practice, Craig has obtained a vast amount of experience in all phases of litigation from initial investigation of claims, to dealing with insurance companies, to trial. Craig has also successfully represented his clients on appeal, most notably in the reported cases of Market Trans. v. Parisi-Lusardi, 293 N.J. Super 471 (App. Div. 1996) and Warnig v. Atlantic County Special Services, 363 N.J. Super 563 (App. Div. 2003). In addition, Craig has served as the public defender for the Borough of Brooklawn, defending those who were unable to afford their own attorney. Craig emphasizes the importance of providing personal attention to all of his clients. He is involved in all phases of their case, and is committed to always being available to speak with clients and address their questions and concerns throughout the course of the litigation process.